Engine oil viscosity (thickness) has an effect on fuel economy and cold weather operation (engine start and engine oil flowability). Lower viscosity engine oils can provide better fuel economy and cold weather performance, however, higher viscosity engine oils are required for satisfactory lubrication in hot weather. 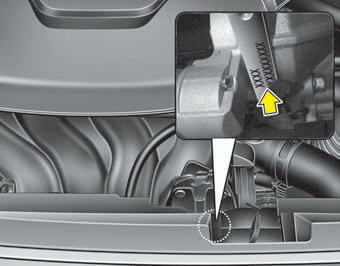 Using oils of any viscosity other than those recommended could result in engine damage. 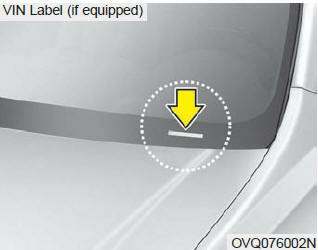 The vehicle certification label attatched on the driver’s side center pillar gives the vehicle identification number (VIN). The tires supplied on your new vehicle are chosen to provide the best performance for normal driving. 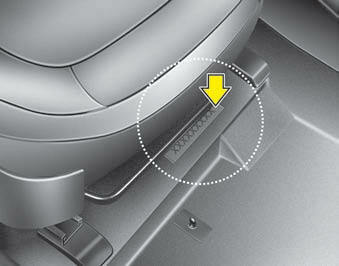 The tire label located on the driver's side center pillar gives the tire pressures recommended for your vehicle. The refrigerant label is located on the underside of the hood. Roadside Assistance is provided on all new current model year Kia Vehicles from the date the vehicle is delivered to the first retail buyer or otherwise put into use (inservice date), whichever is earlier, for a period of 60 months or 60,000 miles, whichever is earlier, subject to the terms, conditions and exclusions set forth in the Kia Warranty and Consumer Information Manual applicable to your model year vehicle. KMA reserves the right to limit or deny services or other benefits to any owner or driver when, in KMA's judgment, the claims and/or service requests are excessive in frequency or type of occurrence. Kia's toll-free Consumer Assistance hot line is staffed from 5:00 AM to 6:00 PM PST, Monday through Friday and is accessible by dialing 1-800-333-4Kia (4542). 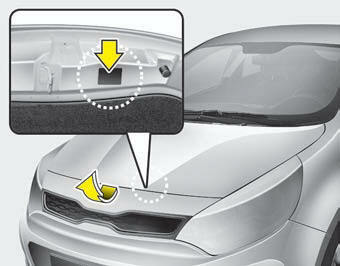 For more information regarding assistance available, please refer to your Kia Warranty & Consumer Information Manual. Kia's toll free Roadside Assistance hot line is staffed 24 hours a day, 365 days a year and is accessible by dialing 1-800-333-4Kia (4542). 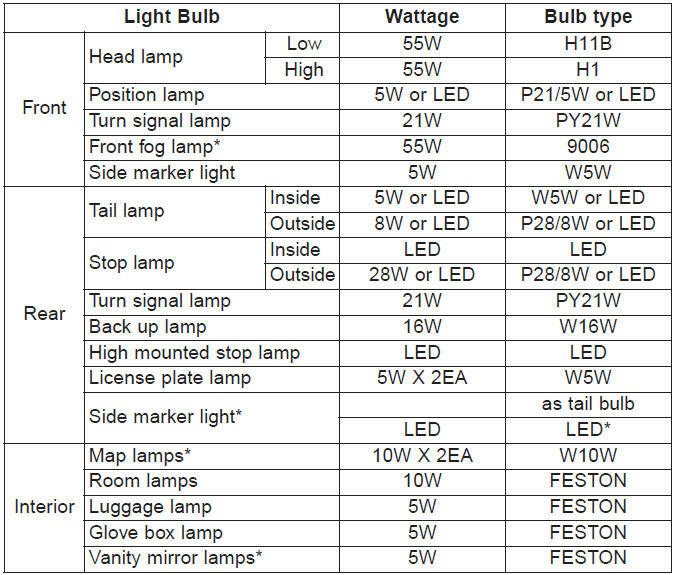 Please note that you must provide your Vehicle Identification Number (VIN) to verify coverage at the time of your call. The VIN can be found on the dash of your vehicle on the driver’s side, on the door jamb of the driver’s door, your vehicle’s registration or proof of insurance card. Kia utilizes a network of over 30,000 roadside assistance providers. Should you accidentally run out of fuel, require a battery jump, or need help changing a tire, a Kia Roadside Assistance Representative will dispatch someone to deliver a small quantity of gas, change a flat tire with your inflated spare, or arrange a battery jump to allow you to proceed to your destination.We have access to a network of over 10,000 locksmiths to help you should you become locked out of your Kia. In the event that mechanical difficulty renders your vehicle undriveable due to a warranty-related concern, Kia’s Roadside Assistance Representative will arrange to transport your vehicle to the nearest Kia dealer or to an alternative service location. Your vehicle must be accessible to our dispatch transport vehicle, as determined by our driver, to receive this service. Roadside Assistance benefits are not available for any Kia vehicle that has ever been or should be issued a “salvage” title or similar “branded” title under any state’s law or has been declared a “total loss” or equivalent by a financial institution or insurance company. Trip interruption expense benefits are provided in the event that a warranty-related disablement occurs more than 150 miles from your home, and the repairs require more than 24 hours to complete. Reasonable reimbursement is included for meals, lodging, or rental car expenses. Trip interruption coverage is limited to $100 per day subject to a three day maximum limit per incident. You must contact the Kia Roadside Assistance Center to obtain pre-authorization of expenses. Once the Kia Roadside Assistance Center gives authorization for trip interruption benefits, they will assist you in making the necessary arrangements. Insurance deductibles, expenses, and claims paid by your insurance company or other providers are not eligible for reimbursement. Fleet vehicles are excluded from reimbursement under Kia’s Trip Interruption Policy. 1.The fuel specified for your vehicle may be unavailable. 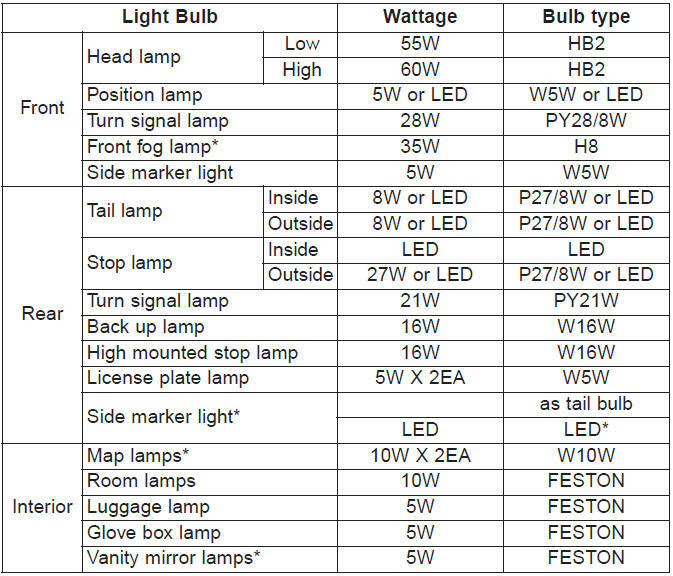 If other than the specified fuel is used, it could cause damage to the engine, the fuel injection system, and other fuel-related parts which may not be covered under your New Vehicle Emissions Limited Warranty. 3.There may not be an Authorized Kia Dealer in the area in which you plan to register your vehicle.You may additionally experience difficulty in obtaining services in a foreign country for any number of reasons. To contact NHTSA, you may call the Vehicle Safety Hotline toll-free at 1-888-327-4236 (TTY: 1-800-424- 9153); go to http://www.safercar.gov; or write to: Administrator, NHTSA, 1200 New Jersey Ave, SE., West Building Washington, DC 20590. You can also obtain other information about motor vehicle safety from http://www.safercar.gov.